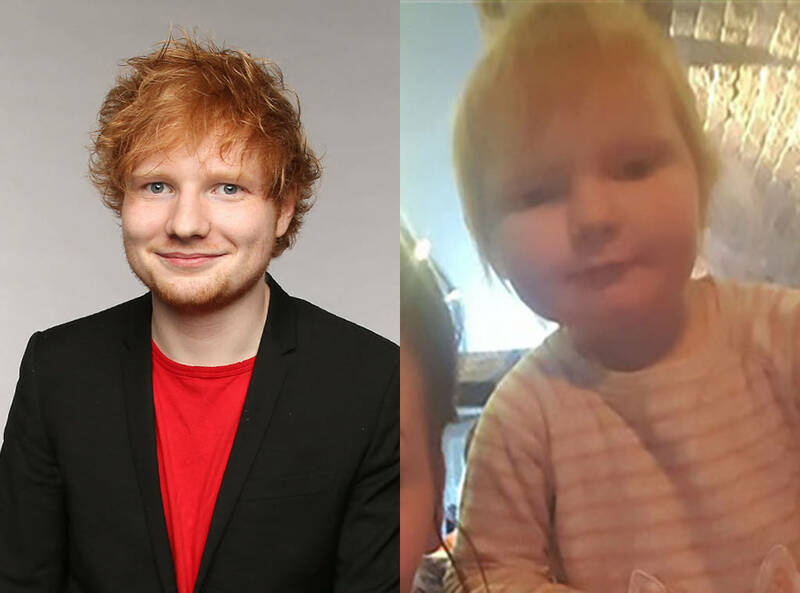 Watch Ed Sheeran Jokes About Look-Alike Baby: "She's Not Mine!" Ed Sheeran finally got a glimpse of the two-year-old girl named Isla who strangely looks exactly like him. While appearing on ITV's Good Morning Britain, the "Shape of You" crooner was presented with a picture of Isla by Richard Arnold. "She's not mine," joked Sheeran after looking at the photo. "She's not mine! It's mad the kind of things that go viral." More seriously, Sheeran opened up about his future, and kids seem to be a big part of it. "I don't want to be touring when I have kids, I want to be like nipping out every now and then and being able to actually be a father so yeah, I think I would definitely love kids," he added. "I would definitely love all the kids in the world but I don't want to have them right now." Isla's mom, Zoe Walton, opened up to E! News after her daughter went viral, telling us how surprised she was by the movement. "I can't believe how viral it has gone," she said. Walton and her family live in Exeter, Devon, England, and while they don't expect to hear from Sheeran himself, she did tell E! News that he would "hopefully one day" reach out to meet his baby doppelganger. Isla turns three in May, which could make for an amazing birthday surprise! He's already gotten a first look at her, so maybe the Walton family has gotten one step closer to making an Isla-Ed meet-and-greet a reality!